He has served as a trustee director of the Panel for the last nine-and-a-half years, championing initiatives to fight fraud and corruption in the UK, Europe and Cyprus. He is a strong supporter and mentor of young people entering the counter-fraud profession and is a regular commentator on television and radio. During his law enforcement career which started in the Royal Air Force Police, David was engaged in operations to fight terrorism, violent disorder and economic crime. 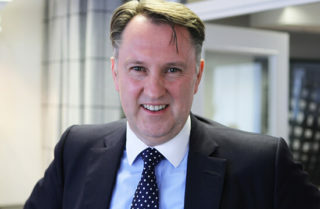 As the head of the Fraud Squad and a member of the Attorney General-led Fraud Review, he was responsible for designing and implementing the National Fraud Intelligence Bureau and National Lead Force for Fraud Investigation that is based within the City of London Police. I am incredibly honoured to become chairman of the Fraud Advisory Panel which has played an important role in shaping our collective response to fraud. As the corporate memory of the counter fraud community, I look forward to working with my esteemed colleagues, on the board and within the membership, to highlight, address, challenge and anticipate the fraud issues of our times. It has been an enormous privilege, and a great pleasure, to lead the vital work of the Panel over the past four-and-a-half years. I know that the influence and the reputation of the Panel will continue to flourish under David Clarke’s excellent leadership. His senior experience in the criminal justice system, and his determination to make a positive difference in tackling fraud and financial crime wherever it is found, will build upon the Panel’s already considerable achievements. David plans to implement a number of new, innovative projects to strengthen the UK resistance to economic crime and better protect individuals and organisations from fraud. These will be announced by the Panel in the coming weeks. We congratulate David on his appointment; wish him and his fellow Trustees and Panel members every success in their mission.